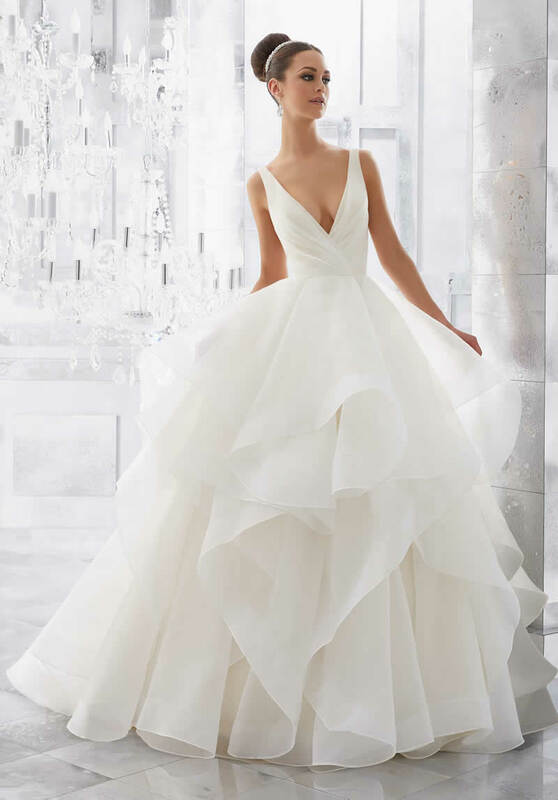 Light and Airy, this Stunning Flounced Organza Ball Gown with Wide Horsehair Edging Features a Plunging V-Neck and Open V-Back. Illusion Insets Along Sides . Available in Three Lengths: 55?, 58?, 61?. Colours Available: White, Ivory, Ivory/Stripe.